Adopted on December 7, 1946 the flag is pretty basic. 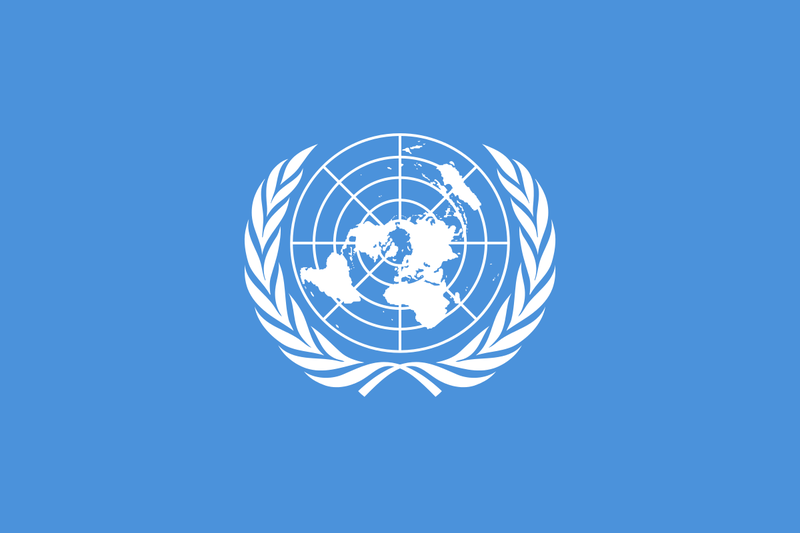 A white UN Emblem, surrounded by two olive branches on a blue background. But if you dig a little deeper, you actually find out that there's a little bit more to it than that. The olive branches are simple: they're a symbol for peace. The world map? All the people and countries of the world. But, if you dig into the Wiki-Page, you find that there are some interesting design choices and elements here. For a start, the color blue was meant to be the opposite of red, which people associate with war. While the projection is basically a projection of the world as seen from the North Pole, the original design- way back in 1945- chopped off bits of Argentina at the Southern Hemisphere, since Argentina was not planned to be an original member of the United Nations. They changed that, and shifted the view so that no one country was in prominence. The final placing of the projection was shifted still further, with the Prime Meridian and the International Date Line forming the vertical diameter- this also moved North America away from the center of the emblem. Is it one of the dreaded 'seals on a bedsheet'? Pretty much, but the political debate over the placement of the projection of the world map is kind of interesting. How relevant is the United Nations in the 21st Century? To be honest, I'm not actually sure any more. 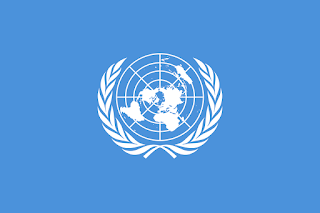 I feel like back in the 90s, we did a hell of a lot more with the United Nations than we do now. But I might be wrong... they're working on getting a new Secretary-General I thought, but we'll see how that goes as well. Until next time, keep your flags flying, FREAK or otherwise!